This is so Detroit that it hurts. Yeah sure they probably ‘staged’ this for HBO’s 24/7, but let’s be honest here for a minute. We all know full well that this is a everyday occurrence for not only the Red Wings, but the whole damn City of Detroit. 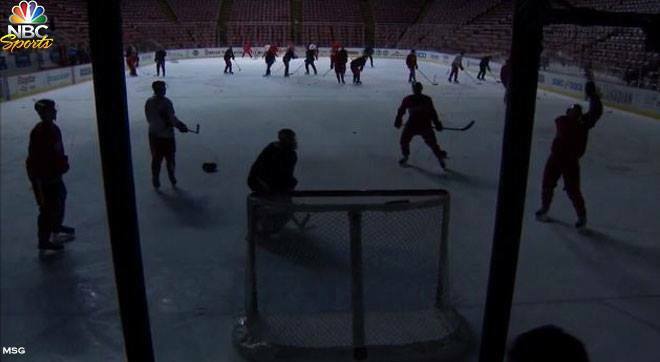 Hey Detroit, didn’t you know this is America, and in America we are not supposed to look like some 3rd world country who can’t even afford to keep the lights on for a little hockey practice. 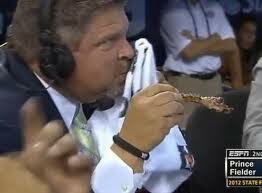 Figure it out Detroit. You are not just hurting yourselves, but you are hurting America here.